Because we will be in Florence for 88 days, we can’t afford to eat a big meal out every single day. Now that we have had a few days to get settled into our apartment, we decided to take it easy for a day. 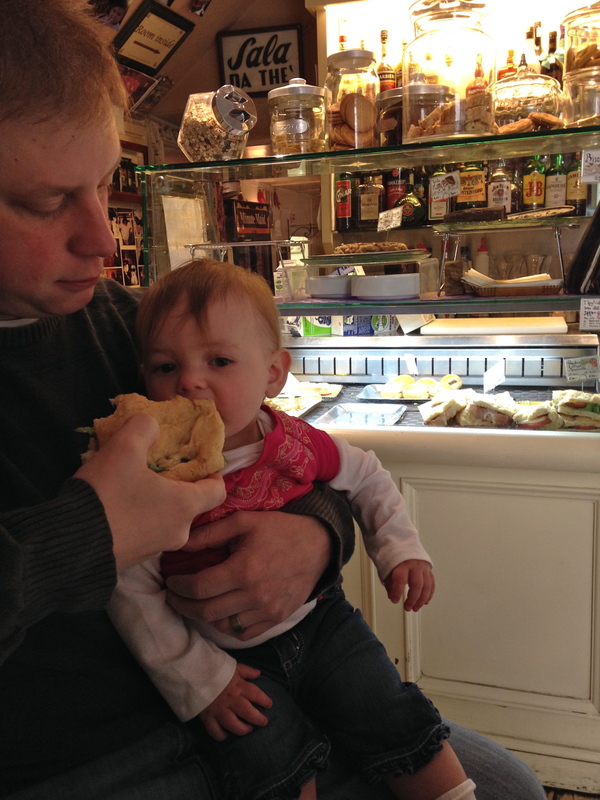 We stopped in at a small cafe for a couple sandwiches for lunch. Again, the sandwiches were super simple. One was lettuce, tomato and fresh mozzarella on ciabatta bread and the other was prosciutto and mozzarella on croissant-like bread. Italians don’t use condiments like mayo or mustard at all, but with the quality of ingredients, you really don’t miss them. Emily is getting used to using her four teeth to take bites out of sandwiches! Late afternoon we walked up to the Piazzale Michelangelo which boasts one of the best views of the city. 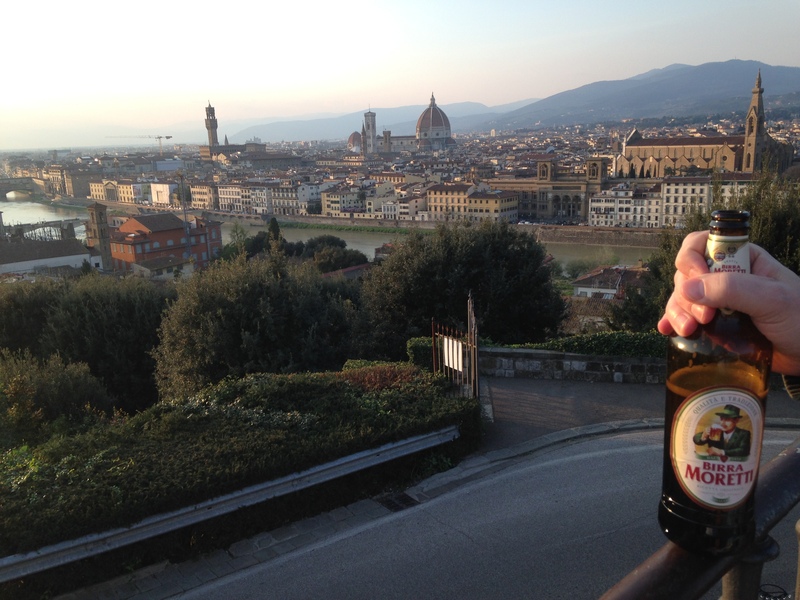 Joe and I split an Italian beer and enjoyed the sunset.